Over on John Shore’s site there has been a post and commentary about prayer. All the responses have been generally positive about the important role prayer plays in the lives of many. From it being like a relaxant before bed to enjoying the benefits of talk therapy unavailable to atheists, from the suggestion that prayer allows us to become conscious of god to the assertion that it is evidence for god, the comments have been interesting but very much of a type. So I offered the following comment, which – unlike all other posts I have made – has been awaiting moderation for a day. Makes me wonder why. Any suggestions? Meditative prayer with god presumes the object reality of god. When we ‘feel’ better for the exercise, we reinforce our belief that god is real. This assumption is then used to justify belief in an intercessory prayer. After all, because we know that god is real through our experience of meditative prayer and we feel different during and after praying (so the cause must be external because we cannot arbitrarily change how we feel, right? ), then it is but a very small step to believing that there must be something to intercessory prayer as well, where god somehow orchestrates a kind of intentional intervention. There are many scriptural references that intercessory prayer works. But are any of these references and conclusions actually true? Well, we know that people who believe in the power of charismatic healing inhibit their brain’s capacity to critically think by shutting down parts of their medial and dorsolateral prefrontal cortex, and we know through a meta-analytic review that there is no evidence to show any causal link greater than chance between prayer and effect. We do know that mindful meditation alters brain chemistry and improves immune function, which brings into question our assertion of the need for any external agency for mood alterations and how we feel during meditative prayer at all. Once again, we cannot trust that what we believe is true is necessarily true unless we have some less subjective way to test it. And when we do test the claims made on behalf of prayer, what we find is that it offers us no evidence for any external agency. 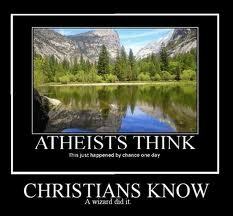 Do these claims against atheists look familiar? Claim 1: If an atheist reads a religion’s ‘holy book’ and find it to be full of vile, ignorant, and divisive material, the atheist is being unsophisticated in his or her approach. The atheist is ‘siding with the fundamentalists’ and consequently is not worth listening to. Claim 2: If an atheist is to understand a ‘holy book’, they cannot simply read it, but must instead read it through liberal theological interpretive frameworks, and must understand that the ‘true message’ of the ‘holy book’ is something that emerges through the reflection of generations of interpretive communities, not through the plain and clear words that are actually printed on the page. There is no logical reason why a supposed ‘holy book’ should not be taken at face value. This is especially the case in Islam, given a central belief in Islam is the claim that the Qur’an is a perfect, divinely authored text. This is not simply a ‘fundamentalist’ belief, but rather a mainstream belief. In fact, given the centrality of this belief, the use of the term ‘fundamentalist’ in regard to Islam is more problematic than with Judaism and Christianity because, as Sam Harris notes, ‘most Muslims appear to be “fundamentalist” in the Western sense of the word’. That is not to say that most Muslims are violent extremists, but that most at least pay lip service to the idea that they intrinsically view the nature of the Qur’an itself in exactly the same way as the extremists do. The idea that ‘scholars’ who present Islam as dividing the world into believers and unbelievers and believe that Islam is supreme amongst religions have somehow ‘misinterpreted’ their faith is farcical, for throughout the Qur’an this is precisely the worldview that emerges. When religious liberals sugarcoat the clear meaning of their religious texts by claiming that we should not look directly at the text but rather at the writings of liberal ‘interpreters’ of the text, they are not basing their argument on anything approaching a logically coherent position, but rather on wishful thinking and self-deception, and they offer no firm, objective criteria by which such ‘interpretation’ can be seen as authentic. There is one further point about moderates which has been well articulated by Sam Harris. It’s an argument worth considering. In the short run, pragmatically speaking, moderates appear to be a good thing, but their continued identification with a belief system that is extremely open to far less liberal interpretations may actually perpetuate the survival of its more irrational and beligerent forms. While moderate Muslims can criticise Islamism and offer alternative ‘interpretations’ of the Qur’an, they still maintain in doing so that the Qur’an does have some kind of authority. Ultimately, Islam and the Qur’an do not pose problems because of ‘misinterpretation’, but rather because they belong to a world far from modernity and are actually of no relevance to modernity. Atheists have every right to point this out, even if it means criticising those who are nonetheless doing good work against extremism. Moderate Islam and moderate Quran’ic ‘interpretation’ offer no real bulwark against those who read the text of the Qur’an and take it at face value, as a perfect and divinely authored text. Only by acknowledging that any notion of a divinely authored book is simply false, by accepting the harsh reality that this book is in fact useless (and indeed dangerous) in the modern context, and by embracing human reason and freethinking will the curse of Islamic extremism ultimately be overcome. How is this terrorist face NOT part of the religion of peace? Three Ontario men accused of taking part in a domestic terrorist plot and possessing plans and materials to create makeshift bombs had allegedly selected specific targets in Canada, sources told CBC News. It is not yet known what the alleged targets were, but sources told CBC News that none of them was in the United States. The RCMP investigation, dubbed Project Samosa, found evidence that one member of the group had been trained to construct electronic and explosive devices. During their investigation, Therriault said, police seized more than 50 electronic circuit boards they say were designed specifically to remotely detonate improvised explosive devices (IEDs). He said they also seized a vast quantity of terrorist literature, videos and manuals. “This group posed a real and serious threat to the citizens of the National Capital Region and Canada’s national security,” he said. Unless and until we face up to the fact that islam itself is the root cause of much terrorism in the world today, we will not face reality. Does a catholic education teach students how to spell ‘collusion’? The police, the Catholic Church and the state conspired to cover up a priest’s suspected role in one of the worst atrocities of the Northern Ireland Troubles, an investigation has found. The NI Police Ombudsman’s probe found that high-level talks led to Fr James Chesney, a suspect in the attack, being moved to the Irish Republic. Who is Fr James Chesney and why would he be moved? In a statement in December 2002, Assistant Chief Constable Sam Kinkaid said: “In a search of 1972 papers, information has been found which clearly indicates that a parish priest in the south Derry area was a member of the Provisional IRA and was actively involved in the Claudy bomb. ACC Kinkaid also said his investigative team had found papers relating to a discussion held on 5 December 1972 between the then Northern Ireland Secretary William Whitelaw and Cardinal Conway, the then Archbishop of Armagh and Primate of All Ireland. “This private discussion occurred at one of the regular meetings that they held to address issues relating to the troubles,” he said. “On 6 December 1972, the day after the meeting, a briefing letter was sent from a senior NIO official to Police Headquarters indicating that the private matter discussed related to the activities of the priest. No-one has ever been convicted of planting the three bombs in Claudy that day. You are a soldier in training. Your unit is marched to a christian concert where you are told you may or may not attend. About half choose not to attend, who are then marched back to barracks, locked down, and all are ordered to maintenance duty for the duration of the concert. For the past several years, two U.S. Army posts in Virginia, Fort Eustis and Fort Lee, have been putting on a series of what are called Commanding General’s Spiritual Fitness Concerts. “Spiritual fitness” is just the military’s new term for promoting religion, particularly evangelical Christianity. Is this treatment unusual? Is it the case that the US military allows freedom of and from religion, or is the policy to routinely tip the table when it comes to ‘spiritual fitness’ and claim that the rolling ball is making a choice about its direction? What are they saying over at Dispatches from the culture wars? This is common in Basic, AIT, and army schools…airborne, wlc, air assault, and etc. All the concerts/shows/whatevers are commonly cover ups for christian activities. All christian bands pop, country, or the holiday shows…bleh the holiday shows. Oh and by the way while at the events you could get real food and drinks as opposed to just the chow hall garbage, that’s how they bolster the numbers to make it look like people want to go. Offer the concerts on one side and the food and drink on the other…see which gets more traffic then. Same with Sundays, go to church, some church, or clean the barracks. I recently completed a year in Iraq. The first day I was in the unit I had to meet with the Chaplain as part of in-processing. I figured that would go pretty quickly. He asked me my religious preference and I answered none. Somehow that got translated as non-denominational christian and I got handed a stack of literature including a New Testament. While we were downrange, he sent out mass e-mails to the entire unit almost every day. There was no way to opt out. They didn’t always cross the line into proselytizing but often did. I managed to archive every one of those messages just in case I decide to do something about it. The Army seems to think that spiritual fitness is an important and real thing, separate from mental or emotional fitness. It’s the default assumption and is codified in our FMs and ARs. I cannot thank the MRFF enough for the work they do. Yet is it not the sworn duty of every officer in the US military to defend the Constitution – the entire Constitution including the First Amendment’s Establishment clause? Or are parts of that Constitution exempted from that oath if certain actions promote a specific kind of christian spiritual fitness? Should we hold officers to that oath or shouldn’t we? I think some commanding officers need to have their dishonourable asses fired. Should we ban Wi-Fi from schools? No. This would be just plain stupid. 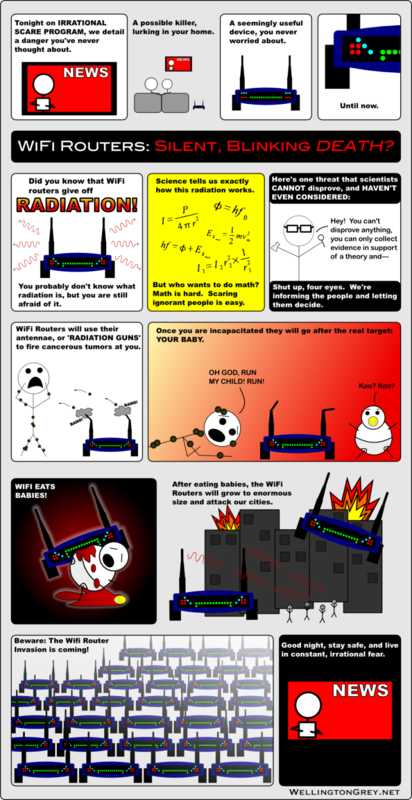 Wi-Fi puts out about 1% radiation of the typical cell phone, equivalent to background radiation. For an excellent review, check out the full article at Neurologica. 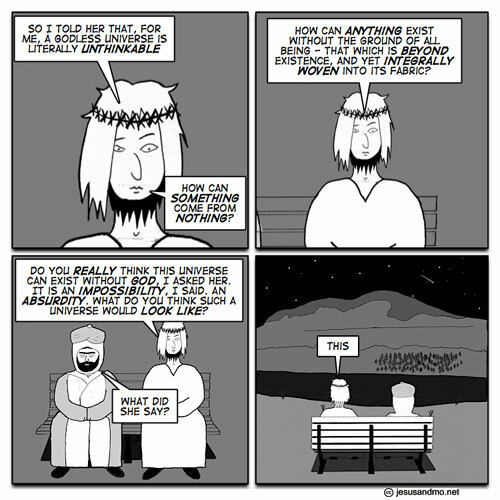 Catholic evidence of an alternative universe? Yup. Michael Voris of The Vortex shows us clear evidence how his faith allows him to live in alternative universe while using the rights and freedoms found in this universe within his country’s secular society to advocate that all of us should join him there. What kind of example is this for muslims? A terrific starting position, as it turns out (but in need of some clarification and refinement). I’ve added some bold. 6. We believe that it is the right of every individual adult person to determine for themselves their conduct towards and within their society (for example, in matters of dress or good manners), and their personal conduct in matters of faith and belief as well, as long as their conduct does not threaten the common good. Likewise, we believe that every society must be allowed to express and celebrate humanity’s profound cultural diversity, as long as the expression of that diversity does not include the compulsion of any individual to violate their own human rights, or their personal values, or their human nature, or otherwise threaten the common good of all people. Islam must evolve into accepting these tenets as central to practicing muslims it if it is to mature into a responsible modern religion.